Totnes is a vibrant, creative place that is proud to be different. Our Community Brews celebrate that, honouring and supporting some of the projects, people and campaigns that we love. We are always happy to work with exciting enterprises or innovators who make Totnes a better place. The first time ever that all the breweries of Totnes have come together to create a beer. 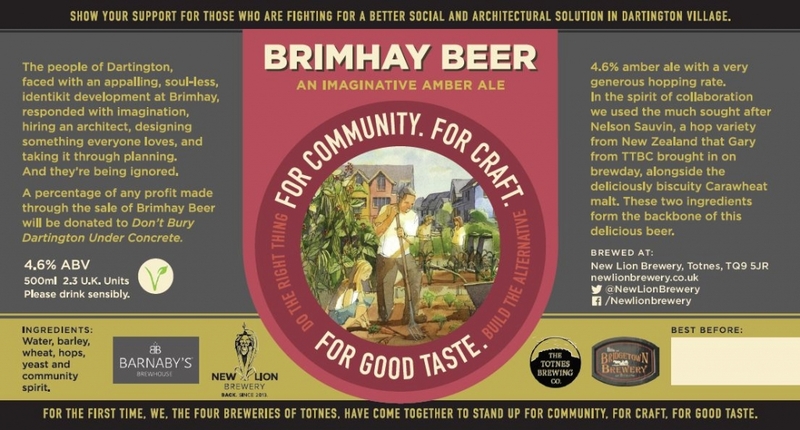 This brew stands in solidarity with the people of Dartington village, and their alternative community redesign of Brimhay. It’s a story you can read more about here. 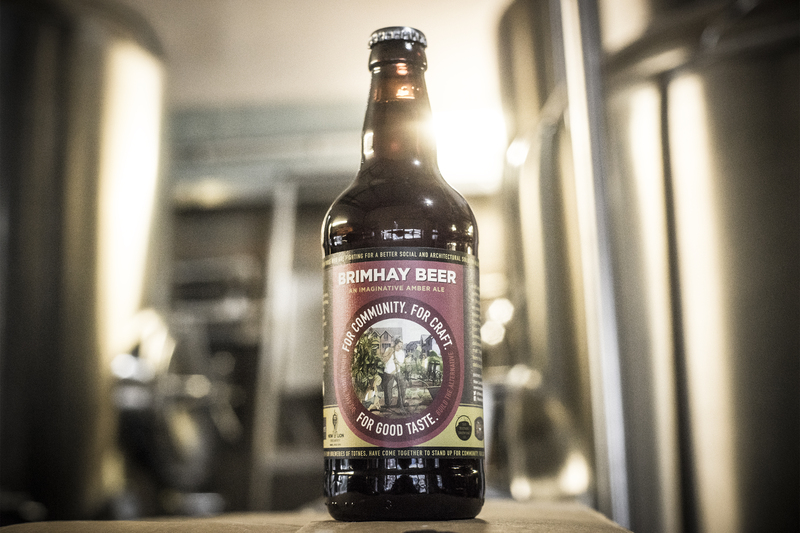 You can get Brimhay Beer in Dartington Stores, at Totnes Brewing Company, from New Lion Brewery or on our stalls during Totnes Christmas Markets, and other places too. Keep an eye out for it, and support this great cause. 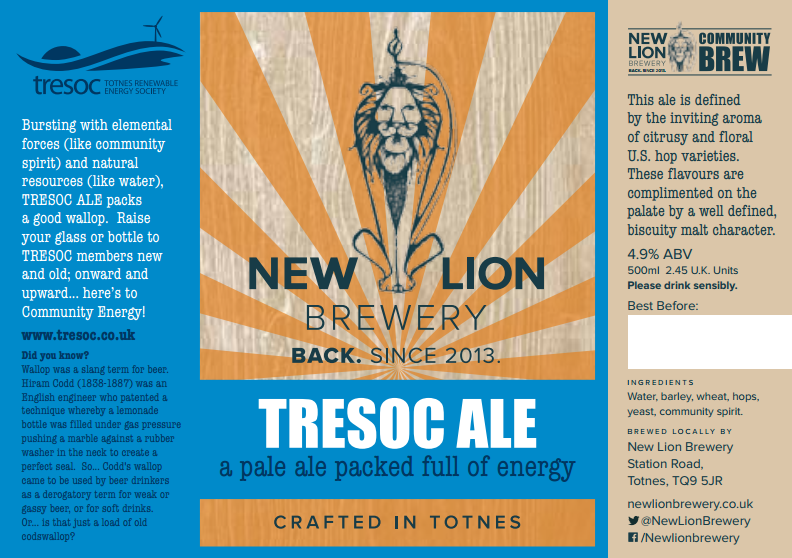 (TRESOC is the Totnes Renewable Energy Society): “Bursting with elemental forces (like community spirit) and natural resources (like water), TRESOC Ale packs a good wallop. Raise a glass or bottle to TRESOC members new and old; onwards and upwards… here’s to community energy!”. Created for the 2015 TRESOC AGM. 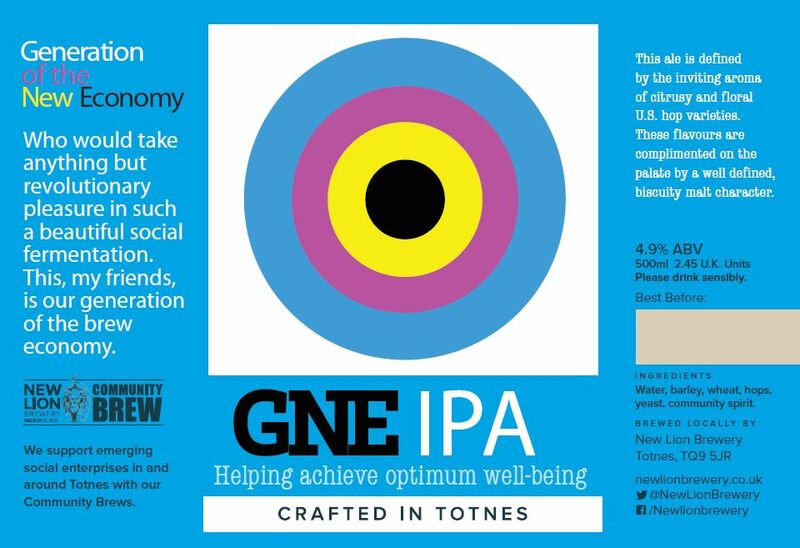 The GNE IPA, dedicated to “helping achieve optimal wellbeing”, was created for the Generation of the New Economy course at Schumacher College, Totnes, May 2015. To celebrate the relaunch of the Totnes Pound in May 2014, we produced a limited edition Totnes Pound IPA, “an IPA that’s defiantly positive” about Totnes. Now considered highly collectable. 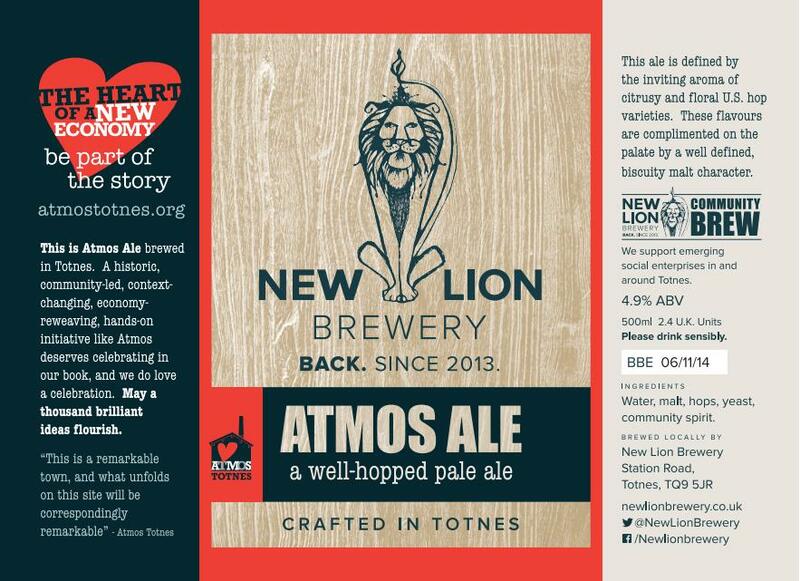 To show our support for the Atmos Totnes initiative, we created Atmos Ale in October 2014 for its first public event following the announcement that it would be carrying out the first Community Right to Build Order in the country. On the label we wrote “A historic, community-led, context-changing, economy-reweaving, hands-on initiative like Atmos deserves celebrating in our book, and we do love a celebration”. Now considered highly collectable. When a campaign was launched to protect the last dairy farm in Totnes from being built on, we wanted to do our bit to support it. 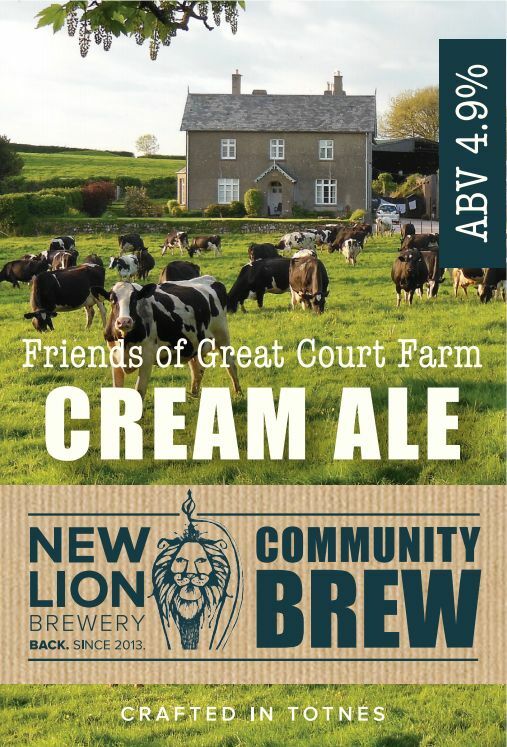 Hence our Cream Ale, made for a fundraising event at the Bay Horse.